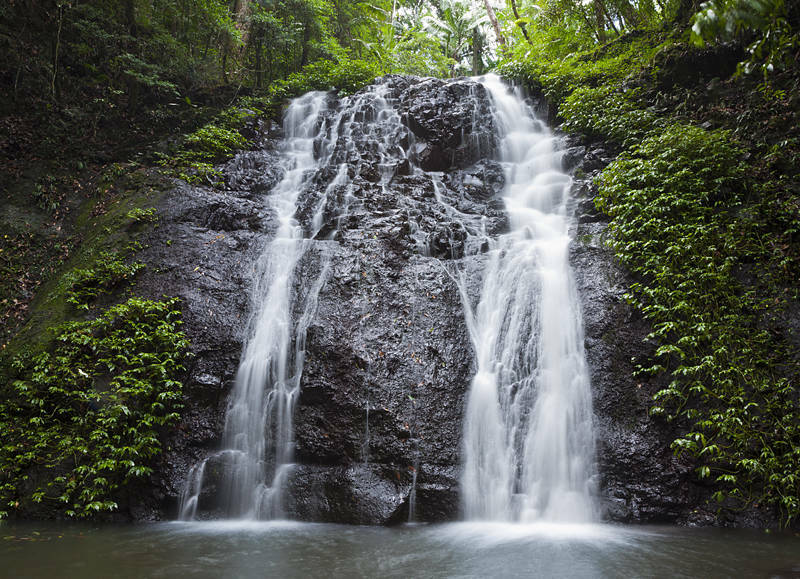 This is Brushbox Falls hidden away in a remote corner of the Border Ranges National Park. The Gondwana Rainforests between Queensland and New South Wales are World Heritage Listed. Although it is only a few hours drive from the Gold Coast it is like stepping back in time. Few places in the world contain so much flora and fauna that remain relatively unchanged from their ancestors in the fossil record. The Brush Box Tree, after which the waterfall was named, is native to Australia and is used as a street tree in cities such as Sydney, Melbourne and Perth because it is rugged and creates lots of shade.